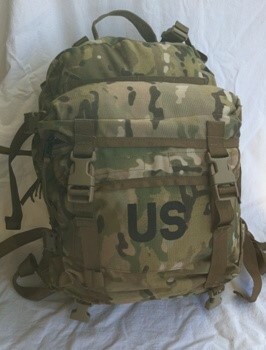 Glenn's has found a very few of these US Army issued 3 day assault packs. 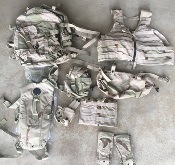 They are manufacturered by Bae Systems SDS of PA contract # W911QY-06-D-0003-033 MSRP is over $199.95, Glenn's price is $99.95 There are NO signs of use. They were purchased at auction directly from the US Government so they were probably issued but unused, can't be certain though. Pictures are stock photos.